Those forced to resettle, war orphans, so-called „enemies of the people”, students turned freedom fighters. . . and many others, lives, often heartbreaking at the outset, in 1956 resulted in a veritable flood of people leaving Hungary. The 1956 uprising and freedom fight is a pivotal point not only in the history of Hungary but in the history of American-Hungarian immigration as well. Of the 200, 000 people who left Hungary then, 60,000 found a new home in North America. 1956 remains ever a keystone of respect accorded Hungary on the international plane. „During the time of the Hungarian uprising the public in the West observed with helpless amazement as the people in a country behind the Iron Curtain rose up against the far stronger Soviet super power, putting their lives, their families and their livelihoods at risk in a heroic, tragic, according to the prevailing political logic irrational, struggle for freedom. Fighting for the same ideal which in the West is the most abstract, but at the same time, the most indispensable,” writes the historian Csaba Békés. The West received the refugees coming from Hungary with open arms. And in turn, the refugees became rapidly and successfully integrated into American society while, at the same time, they played and continue to play an active role in creating institutions which preserve the social life of their local American-Hungarian communities. 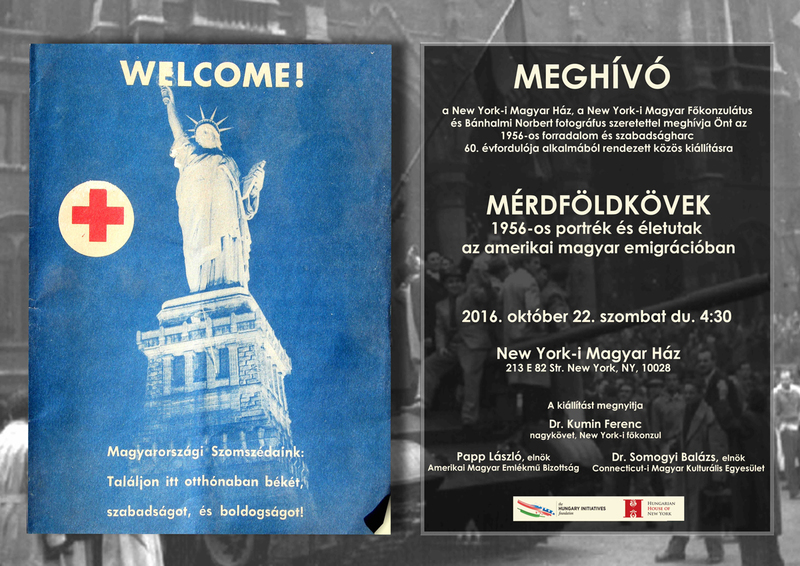 In October 2016, on the occasion of the sixtieth anniversary of the 1956 uprising and freedom fight the Hungarian House of New York was presenting an exhibit depicting the stories of the freedom fighters and immigrants, displaying their personal artifacts and portraits from 1956. 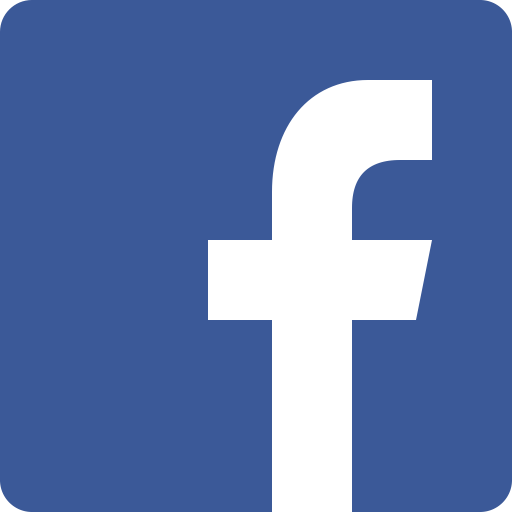 We would like to contribute in this way to deepening awareness the stories of Hungarians living as immigrants. 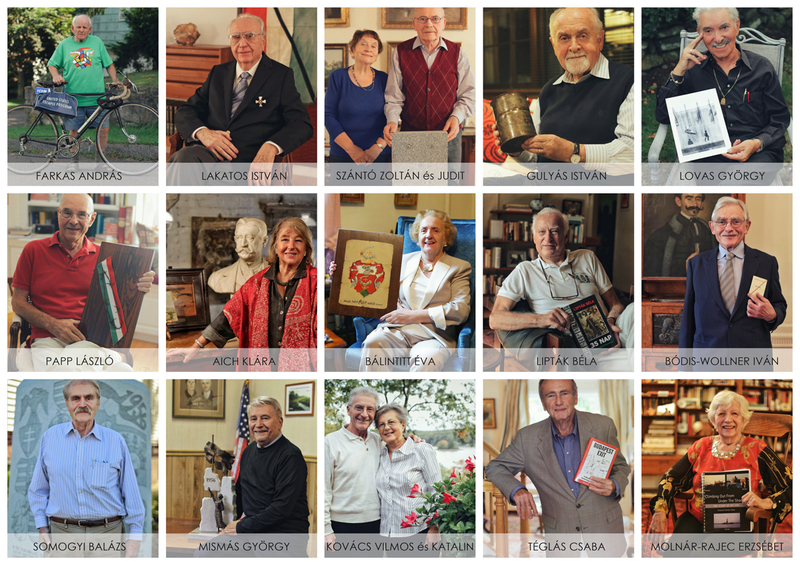 Materials of the exhibition can be seen at it’s website, and life stories can be read at the Facebook-page of the Hungarian House, both in English and Hungarian. 1956 interviewees: Klára Aich (New York, NY); baroness Éva Bálintitt (Staten Island, NY); Iván Bódis-Wollner (Brooklyn, NY); András Farkas (Norwalk, CT); István Gulyás (Creskill, NJ); Vilmos Kovács and his wife, Katalin (Ridgefield, CT); István Lakatos (Brentwood, NY); Béla Lipták (Stamford, CT); György Lovas (Queens, NY); György Mismás (Hamden, CT); László Papp (New Canaan, CT); Balázs Somogyi (Cheshire, CT); Erzsébet Molnár-Rajec (New York, NY); Zoltán Szántó and his wife, Judit (New Rochelle, NY); Csaba Téglás (West Harrison, NY). The exhibition closed on January 10, 2017.